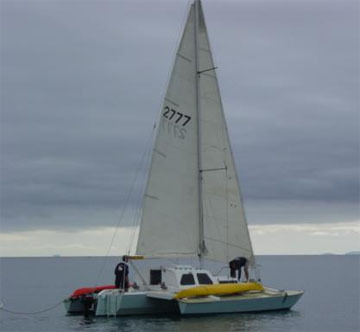 28’6″ (8.69m) cruising trimaran. For construction in plywood or as a mould for grp/frp. 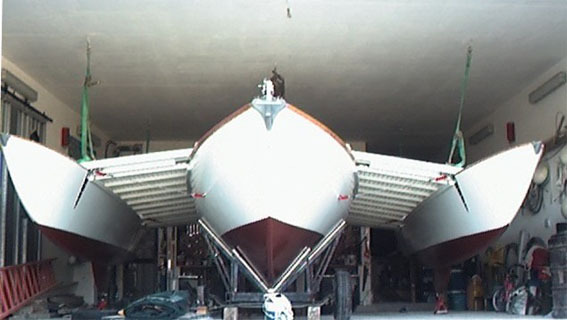 Main hull beam 7′. Draught 2′. 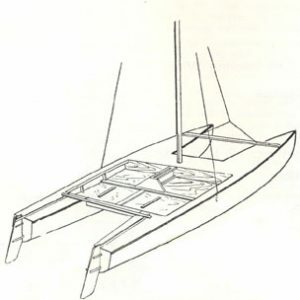 Can use either inboard or outboard engines. 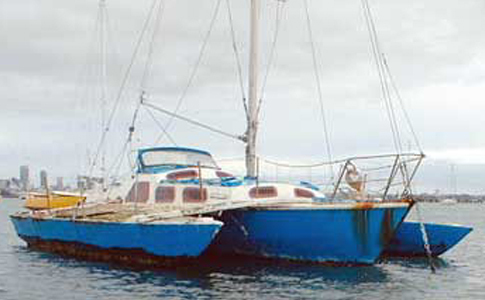 and can be dismantled for either transportation or storage. 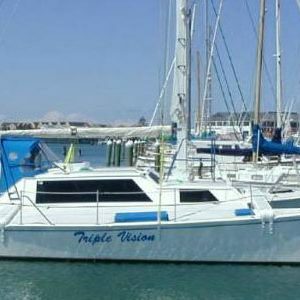 With her 4 berths and 6’3″ headroom she is a proven safe family cruising boat. 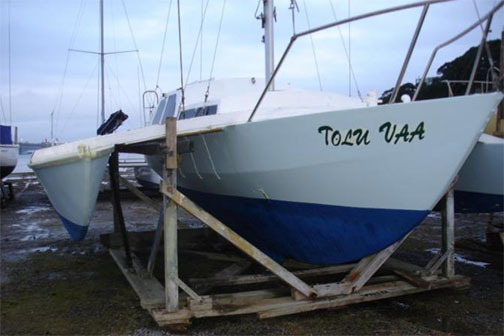 Will not sink if holed in any one hull. 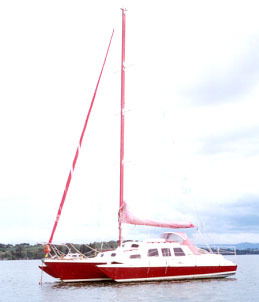 A Lively 28 was the first multihull to circum-navigate Australia.